Way back in October 2013 the design team was planning the first BT Kids Collection and almost immediately I imagined this sweet little pullover for a girl that would include some lace but also some youthful details. What I didn’t imagine at the time was the same pullover on a woman! The number of messages and comments I received requesting an adult version of my Berenice pullover surprised me, and for a long time I didn’t seriously entertain the idea. But then last year, when we were planning this collection, it suddenly did make a lot of sense and I decided to fully embrace the idea, reimagining the original concept for a woman. And here they are, side by side, “Little Berenice” and Berenice… all grown up. The focus of the Deep Fall Collection was creating pieces that are wardrobe foundations. 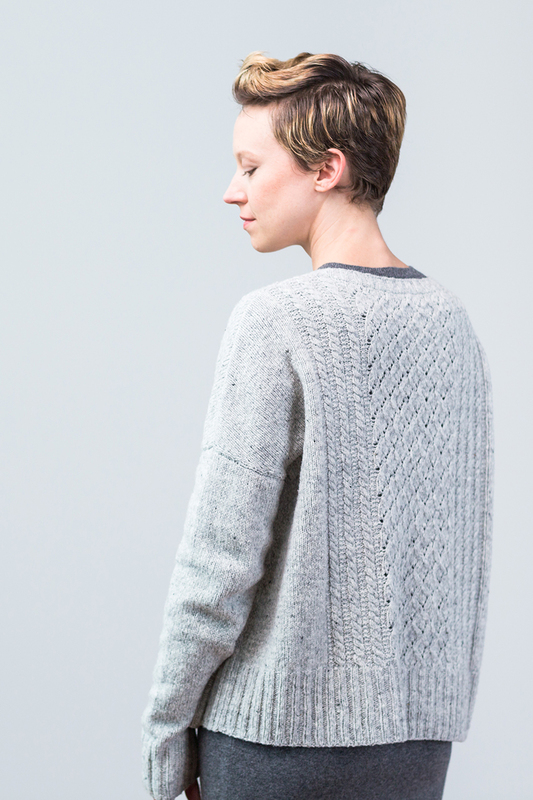 While that’s right in all of our wheelhouses, I particularly wanted to attach “Big Berenice” to this collection because I knew this pullover has the potential to be just that. The sweater that keeps you warm, but doesn’t bind. The sweater that looks great with slacks or a skirt but isn’t so precious it can’t be thrown on over jeans or lounge pants. The lace panel is interesting to knit, but the rest is not overwhelming. I absolutely love the fabric Loft creates for this. It’s also possible to achieve gauge using Peerie for a dressier look and considerably more drape. Click over to BT.com to purchase this pattern.